All day I’ve been thinking about what to buy for my winter wardrobe. I’ll be getting it all next month, and I’m really into all the pastels at the minute. I love the idea of team pretty dresses with harder items like leather jackets and biker style boots, with chunky socks for a wintery feel. Take a look at my picks. 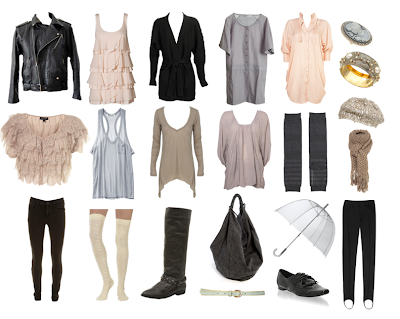 Found them all on Polyvore. Really hope I can find similar things when I go shopping next month for my birthday!